The Aviation & Community Services Noise Department can track flight paths of aircraft operations that generate community noise and annoyance comments using a Vector software program. 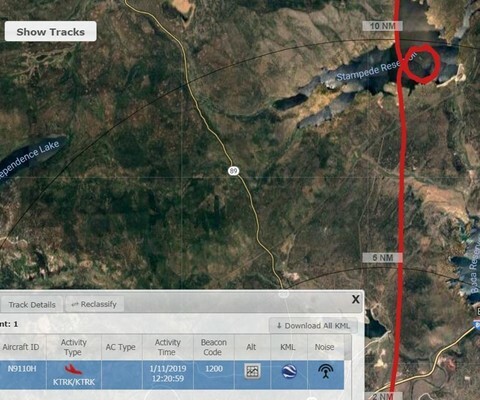 The system records aircraft movements via their transponders. 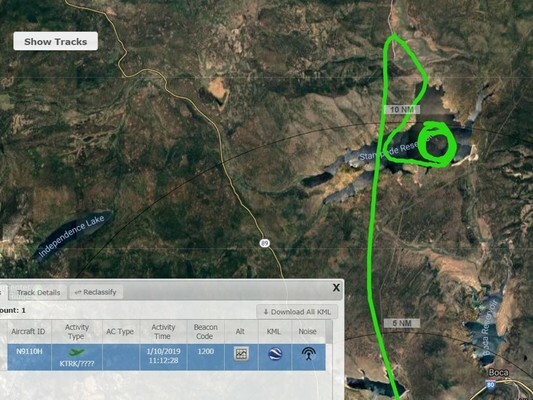 After hearing from District Constituents in the Russell Valley area (~8 miles North of Truckee) about airplanes circling overhead, - airport staff held a meeting with local Certified Flight Instructors (CFI’s) to discuss, among other things, alternative areas to practice flight maneuvers with their students. Since the collaborative meeting, KTRK staff has seen a shift in training areas away from Russell Valley. This effort by CFI’s and their students to literally go the extra mile, helps reduce annoyance to our community which exemplifies the lengths staff and pilots will go to be a Good Neighbor! 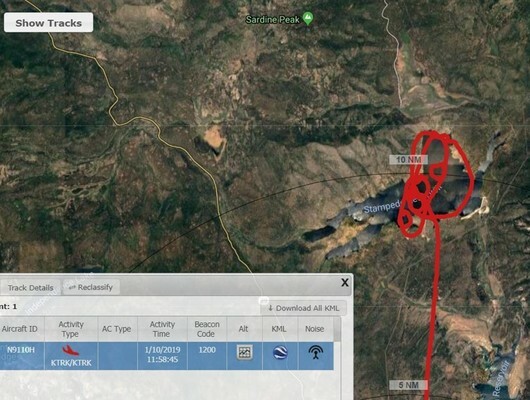 Pictures depict 1) Previously tracked flight maneuvers generating community noise and annoyance comments over Russell Valley, and 2-4) Post-CFI meeting with tracking showing flight practice maneuvers shifted north over the Stampede Reservoir/Sardine Valley area to minimize noise and annoyance.